In order to establish stronger ties between the French and Mexican aerospace industries, an agreement of cooperation was recently signed by the Franco-Mexican Chamber of Commerce (CCFM) and the Mexican Federation of the Aerospace Industry (FEMIA). The goal of the collaboration between the two organizations is to examine the objectives of each nation’s aerospace manufacturing sectors in order to combine efforts to carry out mutually beneficial projects. The French and Mexican aerospace industries currently are working jointly on projects that are already underway at the Center for Innovation and Design (CEID) in Mexicali, Mexico. Total investment in the Center by the two countries is valued at 22.8 million Mexican Pesos (US $1.19 million). Although Mexico is primarily known for its supply of inexpensive labor, the CEID has been put into place as one of the most advanced centers for innovation and design in North America. The CEID is home to labs that are equipped with Advanced Manufacturing (software tools, 3D scanners, and rapid prototyping); Robotics and Automation (for industrial processes, with up to three robotic arms); Sustainability and Renewable Energies (for modelling and designing energy storage and distribution systems); Production Systems (for design, modelling and optimization of industrial production systems); and Digital Graphic Design (2D and 3D animation for commercial and entertainment purposes). Because of its expansive capabilities, the CEID is on its way to becoming an innovation hub both in Mexico and internationally, as well. In addition to CEID’s cooperative relationship between the French and Mexican aerospace industries, there are also collaborative projects at the Center with companies such as Honeywell, Gulfstream and United Technologies among others. The decision to locate the Center for Innovation and Design in Mexicali, Mexico was related to the prominent place that the state occupies in the history of Mexico’s aerospace industry. Baja California’s entry into the aerospace industry began over 40 years ago. Today, export sales from the Baja’s aerospace sector make up approximately 30% of the nation’s total. Between the years 2014 and 2017, the aerospace industry in Baja ranked fourth in its ability to attract US $208 million dollars in foreign direct investment (FDI) to the sector. Also, as of 2017 the aerospace cluster located in Baja California consisted of approximately 110 manufacturing firms that generated more than US $2 billion of export sales and was the source of approximately 35,000 production-related jobs. Companies from France are one of the largest foreign investors in Baja California’s aerospace industry. Luis Lizcano, the director general of FEMIA, believes that cooperation between the French and Mexican aerospace industries is indispensable for the growth and the development of both. Although the Mexican aerospace industry exported a large volume of aerospace parts in 2018, it is believed that this sector has the potential to grow even further as local firms continue to gain the skills and expertise that are necessary to further integrate themselves into the industry’s global supply chain. The cooperation between the French and Mexican Aerospace industries will bolster an ongoing initiative to develop suppliers to the national industry which began in 2016. 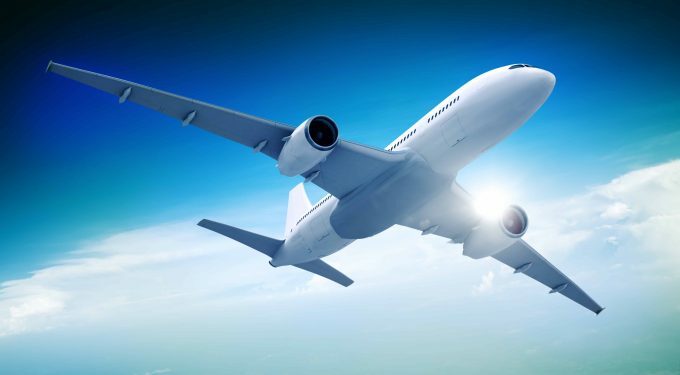 Under the National Supplier Program (NSDP), directed by FEMIA, the Mexico City-based, member-funded, non-profit is working to help small and medium-sized enterprises (SMEs) to qualify as Tier-3 and Tier-4 suppliers to aerospace customers. Lizcano commented that the cooperative agreement signed by representatives of the French and Mexican aerospace industries will do much to benefit aerospace manufacturers from both countries. Rodney Olivier, president of the French-Mexico Chamber of Commerce, emphasized the importance of the research component of present and future projects that the two entities are engaged in, as well as the importance of links that exist between each country’s institutions of higher education and federal and state governmental authorities. In addition to greater local firm integration into the industry’s supply chain, Baja California must also work to provide qualified human resources to the aerospace manufacturers in the state. The participation of academia in the development of the aerospace industry in Baja California is a critical key to ensuring the local industry’s long-term growth. This is the reason why the French and Mexican aerospace industries are combining their resources to operate the Center for Innovation and Design in Tijuana. The Center will focus on strengthening Baja California’s innovation and design in aerospace.